I had the honor and blessing of being able to preach a seven-week sermon series at our Obule church over the summer. I had just read Matt Chandler's book To Live Is Christ. My pastor and I spent time discussing the book and what I was learning. What started out as a causal conversation and me sharing with him about what I was learning, somehow turned into me preaching a sermon series on the book of Philippians. I might have mentioned I was interested in teaching through the book, but he took that to mean I was ready to preach. Now I am not a preacher. I am not being humble here, I just know that is not my gifting. I am more of a teacher than an in-the-front-of-the-church-preacher type. As they introduced me as the speaker one week the pastor asked the church to "endure" the sermon. Knowing the church is enduring my sermon is not a real confidence booster, but I preached anyway. Like Chandler's book, we started the study in Acts 16 looking at Paul's missionary journey to Philippi. We looked at the history surrounding the beginning of the church plant in Philippi. Prior to reading Chandler's book I had not made the connection between Acts 16 and Paul's letter to the Philippian church. It was pretty eye-opening to see Paul in Philippi meeting the first members of the church there - Lydia and family, the slave girl, and the jailer and his household. I had read Acts, but had not read Acts and then studied Paul's letters written back to those churches in chronological order. I never had "faces" to go with the letters. Joy is the major theme of Philippians and Paul more than anyone could say that it is indeed possible to have joy even in the midst of great suffering. Paul had found the secret to contentment in all things - Christ. It was through Christ that Paul was able to endure great suffering, persecution, hatred, scorn, rejection, the loss of comfort - and in the midst of it all still rejoice. It was in the jail in Philippi where he and Silas are praising God for His goodness at midnight and God miraculously opens the doors of the jail. Paul's witness during his imprisonment helped him to lead the harsh, rough jailer to the Lord. I found as I taught about rejoicing always that suffering for me is still sort of theoretical. I know suffering as an abstract thing that others go through but I myself have not suffered. And here I was standing in front of a church full of people who have suffered in ways I will never know and I was telling them to rejoice, be joyful, that God was all-sufficient and He would be enough even when you've lost everything else. All of those are truths, but I felt as if I was speaking as someone who had not passed through suffering preaching to a bunch of folks who are suffering. I almost felt guilty for not suffering, for having an easy way of life. The truth is that in Jesus Christ we find joy, and our present circumstances do not change that. Our joy comes from The Lord. As our sermon series wrapped up I felt that we had really gone deep and studied a book in a new way. I felt the truths found in Philippians did resonate with the folks in Obule. I know some went away knowing that by focusing on their circumstances they had been robbed of their joy. I know I grew through my preparation each week and the church grew as they saw Jesus as much bigger than their current struggles - that the joy we find in Christ goes much deeper than our present difficulties. Now I get to try and live out what I preached all summer. I pray that when I do face struggles that I will rejoice in my suffering - even if that means singing praises to God from lonely dark jail cell. A few weeks ago, well almost one month ago, I (Ronnie) was asked to teach at the yearly youth conference at our church. My friend Jennifer was also asked to teach as well. It was nice to have her doing it with me because we were able to come up with some great things to do with the youth and we even were able to talk about what we were going to teach on with each other. The topic of discussion was Luke 15 and the prodigal son. I taught on the first 10 verses of Luke 15, which are the stories of the lost sheep and the lost coin. Then Jennifer prepared a teaching on the lost son. We also planned games and some fun things for the youth to do. We had them play a game of musical chairs, and had them play the game where you have to stand behind someone and the person behind has to do things like wash the other persons face, brush their teeth, ect. It was fun. Our goal was also to give them something fun to remember about coming to a youth conference as well as a good message. Jennifer and I helped cook the first day and that is always nice. We get to spend time with our friends in the kitchen. We made a vegetable stew thing and it was such a hit they asked it we could cook it again the next day for them. There was about 160 youth and about 60 little children under the age of 5 that we fed both days, plus all the adults. Just a view from the back of the church on the first day. One of the games we made the youth play. Jennifer is also in this picture. It was a really great time and the youth seemed to really enjoy themselves. They got to watch the Jesus Film that night and that was a big hit too. I never know the impact that these types of things have on the lives of those that come. They all say that it was good, and that they liked it. Just a very generic answer. However, I guess someday I will know if lives were changed. It will be neat to get to heaven and meet someone who's life was forever changed at this event. Then the next week both Colin and I were asked to teach at the marriage conference. The theme for this one was Eph. 5:25, the famous "husbands love your wives and wives submit to your husbands" passage. I however didn't teach on that at all. Instead I taught on the 5 Love Languages. It is an old book but filled with great wisdom! And it was received really well too. 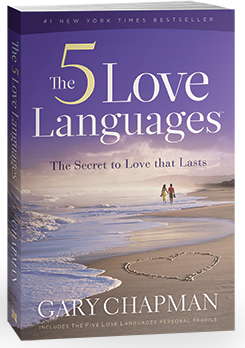 The concept of the book is that we all have different love languages and we need to learn what ours is and then learn what your spouses and it can greatly improve your marriage. I don't think that the couples that I was teaching had ever thought of such a thing before in their lives. Colin told me that after day one, our friend came up to him and said that after 18 years of marriage he was finally learning how to love his wife, how to "do" marriage. I hope to get a bunch more copies of this book to give to the leaders of our sister churches so they can have an on hand copy to learn from. Marriage here is so different from what we see in the west. There is still a "bride price" or "dowery" that needs to be paid to the brides family. And it would seem that from the moment that the price is paid that young bride becomes property. A baby producing, cooking, cleaning, digging, planting, water hauling, and clothes washing machine for who ever came up with enough cows and money. Love is a foreign word. However, there is always hope. We know that marriages don't have to look like they do in the west, but they can look like they should according to the Word of God. Our goal and prayer is not that we mold people into our image (the western way), but to Christ's. Slowly, slowly, slowly we will get there. We will see change in our friends and their marriage as long as we endure with and encourage them. As I sit and write this now, I am filled with a wonder of what life here will look like in 10, 15 or 20 years as God continues to work in this community and allows us to do some work for Him. I hope I remember this post and give thanks and glory to the One who is deserving. For a number of weeks now a group of men from the Obule village have been meeting at our home on Thursday nights to study God's Word. We have been working our way through the book of Acts. I was given a book by Nik Ripken called The Insanity of God, and while reading this book I began to feel a desire to really study Acts, not just read it but study it. The theme of Ripken's book is on the persecution of millions of Christians around the world, and how persecution for most places in the world is the norm. Persecution, trials, suffering - these were also the norm in the book of Acts. About half the book of Acts involves imprisonment or persecution of Christians because of their sharing the Gospel. In the west we have never faced persecution and even see it as a great evil that must be stopped. In reading Ripken's book I was able to see that Jesus told us we would face persecution and to even expect it when we are living in obedience to Him. Persecution is a result of opposition to the sharing of The Gospel. If we as Christians are out there seeking the lost and boldly sharing The Gospel, then persecution or opposition to the message we bring, is a natural result. Jesus told us it was going to happen. So as I got all into studying up on persecution and what Jesus had to say about it, I also really got into studying the beginnings of The Church and the persecution they faced on a regular basis. It was this line of thinking that led me to wanting to study Acts with the men's group in Obule. Our study has focused on several themes from Acts but one thing we see over and over again is The Church gathering together, building one another up, mentoring and teaching one another, and then scattering to share the good news of the risen Jesus Christ. You then see the disciples making disciples who make disciples. As a group we have been challenged by what we see in Acts - that a true disciple of Christ is a follower, a learner, but also some who makes disciples. Disciples make disciples. To be a disciple of Christ who doesn't share Christ with others means you really are not following Christ's example and commands. He told the disciples to go and make disciples (Matthew 28:19-20). As I read about the persecuted church around the world it became obvious that for most of us in the west we disregard Jesus's words when He told us to go and make disciples. Now I realize "going" doesn't always mean you have to go to some foreign land, but we are told to go. So that must mean that as we go, wherever we go - we are to be about the work of making disciples. If we aren't going and we're not making disciples then are we really disciples? We are just church members when we are not being obedient to what Jesus told His church to do. Living in Africa it is just as easy to fall into the role of "church member" rather than "disciple" as it is living in the U.S. Being a missionary doesn't automatically make me a disciple who is making disciples - it's the Holy Spirit that helps me to be obedient to this most important commission. I can go through the motions of Christianity in Uganda just as easily as I can from San Angelo, TX. Reading about Christians around the world counting the cost of following Jesus and deciding He is worth any cost, and then bolding proclaiming The Gospel and making disciples in the face of persecution has really challenged me and our Bible study group. It has challenged us to examine our own lives and see if we have indeed counted the cost - are we willing to pay anything to be called as disciple of Christ? Are we disciples who are actively making disciples? Or are we just church members? It is even challenging the way I view persecution and how I can try and identify with the persecuted. So as we journey through Acts I think I am learning and growing more than the guys in my Bible study group, but that is not a bad thing. God is using this time of study and teaching to broaden my understanding of Him and His ways, to stoke the desire within me to study His Word not for the sake of knowing more stuff, but for His sake, to know Him. A quote that we continue to go back to week after week is from Oswald J. Smith that says, "The light that shines the farthest will shine the brightest at home." Every week we begin our study with a brief overview of Acts, the history and Biblical and cultural context, and the key themes and verses. One verse we read every week is Acts 1:8 where Jesus is fixing to ascend into Heaven and He tells His disciples to wait in Jerusalem and that He will send the Holy Spirit. He also tells them that once they have received the Holy Spirit they are to begin witnessing, first at home in Jerusalem, and then working out from there into Judea and Samaria and finally to the ends of the earth. We go back to this verse week after week because discipleship for these men begins at home. As the heads of our households, as husbands and fathers, we're called to shepherd our families first. Jesus told the disciples to start working at home and then work out from there. I find that a big obstacle that we must overcome as we disciple our Ugandan brothers and sisters is family. Family looks very different here than it does in the U.S. You just do not see husbands and wives together, talking, walking together, sharing, sitting together. Husbands and wives many times do not even attend the same churches, and if they do then they certainly do not sit together during church. Public showing of affection doesn't happen. Based solely on family size I know that personal affection is happening, but I'm not sure couples are bonding and being intimate as much as they are just reproducing. All that to say that I do not witness a lot of intimacy or closeness between couples here. I do not see husbands loving their wives and kids in the way I expect fathers to based on my own upbringing and being from the west. During these past months as we have been walking through Acts and discussing the Biblical truths we pull from God's Word, we get to spend time discussing and sharing about our home lives, about discipling our wives and kids, about shepherding our families, about guarding and cultivating the hearts of our wives. It has not been easy to get into this area as this is sort of off limits culturally, but as we've built a mutual love and trust we can be open and honest as a group and share what God is doing in us and even our failings. Every week I ask the men if they have been discipling their wives, and every week they look at the floor and remain quiet. I know it has to be hard for these guys who grew up in homes where their fathers (the majority of their father were not Christians) behaved in a certain way and that was the way men were supposed to behave. In Uganda it is just not customary for men to share with their wives in the same way we see view sharing with our wives in the west to be natural. What is normal for us is not normal for Ugandan men and women. This is just cultural stuff that you learn over time, but it still presents a challenge as we all continue to mature and experience God together. So please pray that as we meet weekly we can continue sharing what it means to be a disciple of Christ and how do we disciple others. Please pray that there will be more trust and openness within our group so that we can work together, with God's help, to overcome some cultural barriers and begin to shepherd our families Biblically, to be obedient to God's Word, and to be disciple-makers. This means I need to be updating on a more regular basis! One of the things we both really wanted to write more about was the Bible studies we are doing with the men and women of our community. Colin is working through Acts and I have been working on James with the ladies. We are on our 8th week (the next time we get together) and it is a slow process. I like going slow though. We have found that the men's study is VERY different from the ladies. Most all of the men can speak fair English so there is no need to translate. However, my ladies struggle with understanding English so we translate most everything. My friend (Margaret) that translates for me thinks it is a blessing to be able to translate from English to Ateso because she wants to learn to do a better job of translating so she can better help and lead in church. I am thankful for her. Another difference is that the ladies have had a lot less teaching/training on the Bible, period. They understand the whole of the Bible and what it means, who Jesus is, and what He did but aside from that there is much lacking. I have found that every time we get together we are going over the same issues -loosing salvation, works based salvation, and legalism. It makes me think that for years behavior modification is the only thing the church here has been preaching and teaching. Which in turn doesn't make for a great relationship with Christ. It instead manufactures a sense of hopelessness. It sends the message that if you don't play be the rules of the "club" you are out. So we have (more than once) gone over that The Church, Christianity, is not a club. It is a family. And families love you and you don't just get kicked out if you forget to pay your dues each month or misuse the equipment. We're getting there though. We started the book of James with a history lesson. I asked them if they knew who wrote the book of James and I was met with blank stares and downcast eyes. So we went back into the Gospels (Matthew, Mark, Luke and John) as well as Acts to see where James, the brother of Jesus, was mentioned. How he doubted Jesus was who He said He was. How Jesus appeared to James after the resurrection, how James became a pillar in the early Jewish Church, and that his book is written to those Jews of the first church. At the end of the first meeting I could see and hear that the ladies were so excited to understand something new about the Bible. I am praying that they start to see that the Bible as not just a bunch of different books and stories thrown together to make one big one, but that they are ALL connected, and it is really all one big story - the greatest story. James is just the start of that for them, I hope. Going through this book has really helped me to see that I need to be ready for ANYTHING question-wise. One of the best times of sharing that we had wasn't even over the section we were studying that week. It was on being a parent. Let's just say that beating a child into submission is not uncommon here. Not that everyone does it, but it is not frowned upon. Rose was talking about how she has seen that there is a different way to raise your children. She told the group that she prays that God will help her to not beat on her children. She prays that God will help her to teach and be patient with her young boys. Then one day a friend comes over and tells her that she needs to be cane-ing (the most common form of punishment involving spanking, somewhere on the body, with a stick) her boys for their behavior. "How do I respond to that friend?" she asked me. Well, hello left field! I took that opportunity to talk to the whole group of ladies about how we get to parent. I asked them "Would you want God to parent (discipline, teach, love, correct) you the same way you parent your own children?" That question was so profound to them that I could hear the whole room react, it was a noticeable paradigm shift. I pray that we have more and more of these paradigm shifts in our little weekly Bible study. Please keep our Wednesday Bible study in your prayers. These ladies need all the prayer we can give them. Life is hard here and there are lots of burdens (physical, emotional, and spiritual) that they carry daily. I am thankful that they are willing to give of their time to come a meet weekly and that they are wanting to grow and are seeking the truth of The Gospel.